The term ‘manufactured home’ was adopted in 1980 by the the United States Congress to describe a type of house that is constructed in a factory to comply with a building code developed by the Department of Housing and Urban Development (HUD). In the past, manufactured homes were called ‘mobile homes,’ a term that many people still use. However, ‘mobile’ is no longer an accurate name because fewer than five percent of such homes are ever moved off the owner’s original site. Federal standards and written warranties protect buyers of manufactured homes. Every manufactured home now offered for sale has a small red and silver seal that certifies that the home has been inspected during construction and meets federal home construction and safety standards. These standards were developed to assure a suitable level of performance in every manufactured home constructed in the U.S. Such standards, together with the manufacturers’ warranties, serve to protect you — the home buyer. Since mid-1976, all manufactured homes have been constructed to meet the federal building standards adopted and administered by the U.S. Department of Housing and Urban Development. 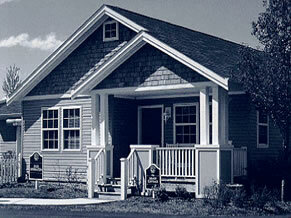 This national code is called the National Manufactured Home Construction and Safety Standards. The code regulates manufactured home design and construction, strength and durability, fire resistance, and energy efficiency. It also prescribes the performance standards for the heating, plumbing, air conditioning, thermal, and electrical systems. The National Manufactured Housing Construction and Safety Standards Act also requires that you receive a home owner’s manual when you buy your home. This manual will explain, among other things, what to do if something goes wrong with your home. Some of the important subjects covered in the home owner’s manual include general maintenance, safety (including a fire safety checklist), and state agencies involved in enforcing the federal manufactured home standards. Warranties vary among different manufacturers. Ask to see the warranties on the manufactured homes that interest you and compare them before you buy. All retailers are required to have copies of the manufacturers’ warranties that are offered on the homes they sell, and they will make them available to you if you ask to see them. By reading the warranty before you buy your home, you can make sure the home you buy is covered by the kind of warranty protection you want. When you buy your manufactured home, you will receive the manufacturer’s written warranty from your retailer. The manufacturer’s written warranty usually covers substantial defects in workmanship in the structure; factory-installed plumbing, heating, and electrical systems and factory-installed appliances (these also may be covered by appliance warranties). It is important to understand that the manufacturer’s warranty will not provide coverage for problems resulting from lack of proper installation or maintenance, accidents, owner’s negligence or unauthorized repairs. Therefore, to make sure that your home’s warranty will be honored carefully follow the manufacturer’s instructions for installing, maintaining, and repairing your home. In many cases, the retailer will perform service under the manufacturer’s warranty. However, it is the manufacturer who has the final responsibility. Be aware that if the retailer must order parts from the manufacturer to make a warranty repair, shipping and delivery of those parts may affect the amount of time it takes to get service. Before you buy your manufactured home, ask to see the written warranties offered on the homes the retailer sells. Manufacturers warranties cover many, but not all, types of potential problems. Do the manufacturer’s or retailer’s written warranties on the home cover transportation and installation? If not, are installation and transportation covered by separate written warranties? Consider these important questions about warranty coverage before you decide which home to buy. Implied warranties are unspoken, unwritten promises created by state law. Ask to see all warranties in writing. Make sure you understand who offers the warranty, who performs the service, and what is and is not covered before selecting and buying your manufactured home. In addition to any written warranty offered by the manufacturer, you may have certain ‘implied warranties’ when you buy a manufactured home. An implied warranty is an unspoken, unwritten promise that a product is fit to be sold and used for its intended purposes–for example, that a manufactured home is fit to be sold and lived in. These implied warranties protect you even if no written warranty is offered by the manufacturer or retailer. Most states allow sales that exclude implied warranties (‘as is’ sales). However, some states do not permit a seller to exclude or limit implied warranties. Contact your state or local consumer protection office to ask about implied warranty protections in your state. When buying a manufactured house, especially a used one, make sure you know whether it is being sold ‘as is’ — with no implied or written warranty. A retailer may offer a written warranty on a home. Written warranties are not alike. But, typically, the retailer’s warranty will tell you the terms of the warranty, what you must do to keep the warranty in effect, what you can reasonably expect from the retailer, and that the home has been installed according to manufacturer specifications and local regulations. The warranty also will guarantee that the home has a HUD inspection seal and that optional appliances and equipment have been properly installed. Remember, ask to see the retailer’s warranty before buying to check on what it does and does not cover. You should know that a retailer’s warranty will not provide coverage for problems that arise from owner’s negligence,failure to provide proper notice for service, and unauthorized repairs. The appliances in your home also will be covered by warranties. In many cases, these warranties, along with use and care manuals, are provided by the individual appliance manufacturers. In addition, some states require that the home manufacturer’s warranty cover the appliances that come with your home. Read the appliance warranties and note the duration and terms. In addition, check instructions in the warranty about how to get service. In most cases, the quickest service can be obtained from the appliance manufacturer’s authorized service centers. Check the use and care information on the appliance warranties for a list of such service centers or service agents. However, if warranty service is not available from the appliance manufacturer or its servicer, contact your retailer for assistance. The home manufacturer’s warranty, if any, may provide warranty service for your problem. The retailer may offer a written warranty, but not everything will be covered. If you own or plan to buy land for your manufactured home, there are several matters you should consider. Zoning- in cities and suburban areas, and in some semirural areas, you may face zoning requirements that must be met. In certain areas, there may be a prohibition against manufactured homes, or certain requirements regarding their size and exterior appearance. You can find out if there are any restrictions or requirements by contacting the local community’s planning and land use department. Consult your local telephone directory for the office nearest you. Restrictive Covenants- limitations in property deeds that control how you can use the land. These may include a requirement that homes be a certain size or a prohibition that lands not be used for certain purposes. The title search, conducted when you buy the land may reveal information about such restrictions. Sometimes, however, the restrictions are described in ways that are difficult to understand. You may want to check with an experienced real estate attorney to see if there are any restrictive covenants that would keep you from placing your home on the land you are considering. Utilities- although a manufactured home comes complete with plumbing, electrical, and heating systems, it must, like all homes, be connected to electrical, water, and sewerage facilities. If your site is in a well-developed area, all necessary utilities may be available, subject to connection charges. Find out exactly what utilities are available and how much it will cost to connect your home to all utility sources. Contact your local public utilities division for information about utility services in your area. Make sure the the applicable zoninglaws and the deed on your land will allow a manufactured home to be placed there. There are a number of important questions to consider when placing your manufactured home in a rental community. Do the community’s rules require that it be responsible for installing your home, or can you let your retailer do the job? What are the community’s rules and regulations? For example, are pets prohibited? Can you accept and live with such rules? You may want to consider another alternative and buy a home that already is located in a planned community. As with a rental community, there are fewer practical problems involved because you do not have to concern yourself about placement. Be sure to check into the costs, services, and rules of any planned community before you buy. You should consider the matters such as who is responsible for utility connections, if there will be any restrictions on resale of your home, and whether you can live with that community’s rules. What energy-efficiency options are available? The National Manufactured Home Construction and Safety Standards require separate energy efficiency levels for the three different temperature zones of the United States. However, you may wish to increase your home’s energy efficiency. There are a variety of optional energy packages available, such as increased insulation, double- and triple-glazed windows, sheathing products, self-storing storm windows, and ‘high-efficiency’ water heaters, furnaces, refrigerators, and air conditioners. Ask your retailer about available energy-saving features and their costs. You especially should note the ‘heating certificate,’ which specifies the temperature zone for which the home is designed, and the ‘comfort cooling certificate,’ which specifies the appropriate central air conditioning system for the home. Both certificates are located on the inside of the home. You should not place your home in a climate zone for which it was not designed. What written warranty coverage is offered on the home, its transportation, and its installation on the homesite? Nearly all manufacturers offer a written warranty on the home itself. There are, however, important differences among warranties. For example, manufacturers’ warranties may exclude coverage of installation and transportation (although reliable retailers or contractors usually offer written warranties on these services). Although you may never need such warranty services, it is a good idea to check the coverage of anywarranties that are offeredbefore you buy. Most likely you will buy your home from a retail sales center, although today, in some states, you also could buy your manufactured home from a real estate agent if the home is already located in a community. Some retail sales centers are owned and operated by a home manufacturing company, but most retail businesses are independently owned and operated. They sell homes built by several manufacturers. You should. use as much care in choosing your retailer as you do in choosing your home and its features. This is because the retailer will help you choose your home and, if you wish, custom order it from the factory. In addition, the retailer usually will be the one responsible for having your home delivered and installed. The retailer also may arrange for financing and insurance for your home. Finally, after you move into your home, your retailer often will be the person you contact for warranty service. One of the best ways to find a reputable retailer is to talk with friends who live in manufactured homes and get their recommendations. You also might ask them to recommend a home manufacturer. You may wish to contact your local Better Business Bureau to find out if a particular retailer or manufacturer has a record of unsettled or unresolved complaints on file. You also may wish to contact your state manufactured home association and request the names and addresses of manufacturers or retailers in your area.Compare warranties offered by various manufacturers and retailers. Every manufacturer is required by the federal standards to provide instructions for installing your home. However, the actual installation typically is not within the manufacturer’s control. Therefore, the installation of your manufactured home is not covered by the manufacturer’s warranty. These cautions are not designed to worry you, but rather to alert you to the importance of installation. Hundreds of thousands of manufactured homes are installed on sites each year without major problems. You should not have problems if your home is installed by a reliable retailer or by a company that specializes in manufactured home installation. Check for damage as soon as you receive your home and report any problems to the retailer or transporter as soon as possible. The manufacturer’s written warranty on the home usually will not cover problems that are caused by improper installation. Usually, the retailer will install your home or contract with a professional installation crew to do the work. In most cases, the price of your home will include the cost of installation by such qualified professionals. Be sure to check this with your retailer before you sign the sales contract. If installation is not included in the price, you may have to contract with a separate company to install your home. Ask your retailer for the names of such companies. Ask if there is a written warranty covering your home’s installation. If not, then ask to have it put in writing. 1.Transporting Your Home From the Retailer’s Sales Center to Your Homesite. In addition to following the manufacturer’s instructions and complying with local law, find out if the institution financing your home (or the rental community in which you place your home) has foundation requirements. The Federal Housing Administration (FHA) and Veterans Administration (VA) also have special foundation requirements. Remind your retailer about the kind of financing you are using so that all applicable foundation requirements will be met. If you place your home on your own property, you have the option of choosing from a number of different foundation types. Several types of foundations are available, from concrete slabs to full basements. Remember, local codes reflecting the different climates and soil conditions must be followed. A professional installer will know which foundation codes are required by local law or what is required by your financing institution. It is essential that an experienced crew installs your home to assure that it is leveled correctly. Leveling is one of the most important steps in setting up your home. It must be done according to the manufacturer’s specifications. If your home is not level on its foundation, the weight of the home will not be distributed evenly. Poor leveling could result in such problems as doors that do not open and close easily or floors or walls that buckle. If any of these problems do occur because your home was not properly leveled, the manufacturer’s warranty will not cover the repairs. Remember, the manufacturer’s warranty only covers problems resulting from faulty construction. Insist on walking through the home before the installation crew leaves to check for signs that your home may not be level. Leveling is critical and must be performed by a professional crew. Walk through your home before the installation crew leaves to assure that the home is level. After installation has been completed and you have checked out the installed home, it is very important to periodically recheck the leveling of your home. This is important because, over time, such things as foundation supports may settle unevenly and create an un-level condition. Such conditions can, in extreme cases, cause serious damage to the walls and floors. Normally, you should recheck leveling about 60 to 90 days following installation and, perhaps, once a year after that. It is not sufficient merely to place your home on a properly constructed foundation. There are certain minimum requirements that should be met. To ensure that your home does not shift and become damaged, it must be anchored to the ground according to the manufacturer’s instructions or as required by local codes. Anchoring should prevent severe winds from damaging your home. Although your home will come with instructions for properly securing it to its foundation, anchoring is not a do-it-yourself project. Talk with your retailer about anchoring, and be sure that your home’s installation includes this very necessary step. Anchoring your home to the ground should be done by experts. When you take possession of your new home, the first thing to do is to check it over thoroughly. It is important to discover problems early and report them to the retailer or the installer within the warranty’s time limits.